When I started this website, it was simply a journal of what was going on with me and audio so I’m going back to that a bit this week to give you a little insight into what some of my weeks look like now that I’m an independent engineer running my own company. 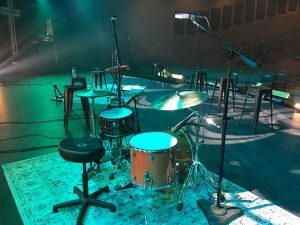 I started out the week on the road at Christ Fellowship Church in Florida. 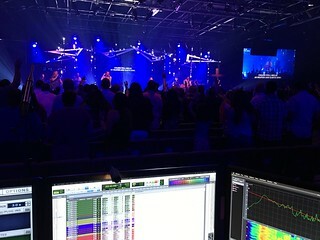 CF is one of the largest churches in the country, and I have been blessed to help their audio staff over the last year and a half with things ranging from mixing to training to general advising often over pretty decent pizza considering it’s not Chicago or NY. 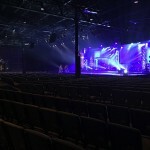 This week I was mixing FOH at one of their 7–soon to be 8–campuses. I mixed one service on Saturday night, and then 4 on Sunday. Then I was back on a plane to Atlanta. Mondays and Tuesdays are, in theory, my days off, but I failed at that this week. In actuality, I keep a couple of “days off” on my calendar every week that I shift around depending on scheduling because downtime is important. This week that downtime was spread in spurts across several days because I’ve had wheels turning on some things. Aside from the typical business stuff of marketing, finishing expense reports, sending out invoices, booking travel, and talking with new clients, I finally found some time to spend in my “lab” this week. The “lab” would be my studio, although, unlike most of the time I try to spend in there, this wasn’t for clients. I feel like I’m in the middle of an evolution with my mixes right now. They’re always changing a bit, but this feels like it might be a little bigger to me than the usual, natural changes that happen. It might also turn out to really be a head thing more than a heard thing. Regardless, this week I took some time to experiment with some different techniques, and if they go somewhere I’ll eventually get into the specifics. If there’s something driving this evolution, it’s probably at least partially time related. The FOH gigs I do these days, even for regular clients, are of the “one-off” nature which can be limiting in a sense when it comes to where I can get a mix to because I’m starting from some degree of “scratch” nearly every time. It’s a great drill for getting you out of your box and comfort zone, but I’m always looking for ways to make workflows more efficient while generating even better results. Time is also important when I’m working in the studio because the longer it takes me to finish a project, the longer the next one waits and that time may dictate whether I can even do the next one. Then on top of all that I’m always thinking about the educational side of things, and if there’s a faster and easier way for someone to learn to get great results. I was just about finished with my lab experimentation when Waves dropped their new F6 plug-in on Wednesday. The F6 is a dynamic EQ plug-in, and it is something I’ve been waiting for so I made time to give it a bit of testing. I’ve had a few people ask me why they would use this instead of a C4 or C6 so here’s a bit on why this got me excited. When I worked on analog gear, sometimes we used a piece of gear from BSS called the DPR-901 which was a dynamic EQ. The 901 was similar to a regular EQ with four parametric bands, however, each band had controls similar to a compressor so you could dynamically affect things. Bob Clearmountain has said using these on a vocal is like cheating. The problem with EQ’ing things is it’s a static solution for what is often a dynamic problem. A vocal or guitar or whatever might be perfectly dialed in one second, but when the vocalist shifts to a higher register it gets harsh or maybe he pulls back from the mic and it thins out or maybe the guitarist jumps on a pedal and everything changes. I like using a dynamic EQ to handle these issues to get a smoother and more consistent sounding performance. The Waves C4 and C6 have been my go-to’s for this for many years now, and I even did a tutorial for Waves on the C6 you can find on their website. The challenge is those plug-ins use a crossover network for filters. C6 adds a couple of parametric bands that work similar to the 901’s, however, the other 4 bands use that crossover network. This means most of the processing we end up doing will be in wider bands than we might want, plus, setting up crossovers is not typically as intuitive for a mix engineer. Then there’s also the loss of phase coherence of our source. The phase thing is a bit tricky. I know some engineers who swear they hear it, but others don’t mind it. I know from experience, though, that the more processing you run something through, the more degraded the audio can get. So let’s say you put a C6 on a guitar input to tame some harshness. Then you put another on a group of guitars to tame all of them together in the upper- and lower-mids; I have a ducking trick I would do here as well that coincidentally is a new preset in the F6. Then you put another one on the output to the PA, and maybe another one on the broadcast feed. Then there are the crossovers in the PA. So you could potentially have that guitar going through 4-5 different crossover networks. This is a bit extreme, but I’ve done it in some situations and have seen many engineers go this far. Those layers of processing may or may not have a negative effect on the final result that is heard. 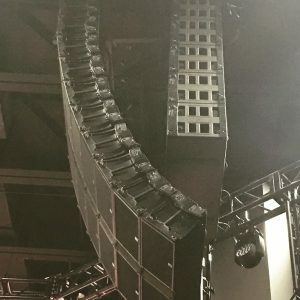 In some cases, the benefits of the processing outweigh the artifacts and/or sonic degradation happening from the crossovers, however, sometimes they don’t and by the time you figure this out you’re several layers deep which makes it difficult to back out or understand what happened along the way. Personally, I am very conscious of and limit how many layers of processing things go through because in the heat of mixing it can get very easy to just start stacking and stacking. C6 and C4 are like candy. The first couple bites are so sweet it’s easy to dip into the bowl for more and more. Here’s a real world example of how phase coherence can actually bite you, though. I like using C6 on bass guitars for a couple things. 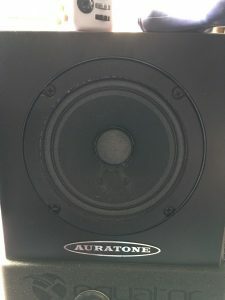 First I do the trick where I duck the kick’s fundamental in the bass guitar–I think I demonstrate this in the Waves video–but I also use C6 to keep the sub-low’s in control. Another thing I like to do with bass is patch it to a second channel that I dirty up and distort in the mid-range to help it cut and make the note “read” better in a dense mix. Assuming I compensate for any processing latency between those two bass inputs, I will still lose phase coherency between the two because one input runs through a C6 while the other does not, and this may or may not cause a problem when the two inputs mix together. If it does create an issue there are a few ways to deal with it, but they take time to setup and get working correctly and sometimes increase console complexity. As I mentioned earlier, time is something I am very conscious of right now and always trying to reduce. So, long story short, the F6 is really what I always wanted the C4 and C6 to actually be: a straight-up dynamic equalizer. C6 and C4 still have their place, though. For example, I like using C4 on tracks because they can be all over the map in terms of frequency content from one song to the next so a more broad strokes approach fits nicely for me with that in my one-off live situations. However, most of the things I use C6 for will transition to F6 when I have it available, and I suspect that will be the case for most other engineers. It’s only $29 right now which I think is a no-brainer if you are using a Soundgrid setup. I didn’t even bother demo’ing it and purchased it outright and have not been disappointed thus far. If you follow my Waves link, you can get a little more of a discount off that. That’s been it for my week so far. By the time this publishes on Friday I’ll be off for more weekend traveling and mixing and talking audio. What have you been up to this week? Have you used the DYN8 on the DLive system? Just wondering if with that (64 instances) on board if there is a huge need to go to the soundgrid for C6 or F6. 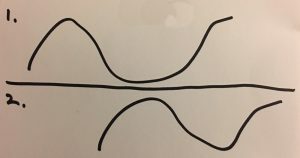 We are new to Waves and just figuring that part out in integration. I haven’t had any experience with the DLive, yet. Come on down to coastal Georgia for a couple days and you can get some time on one!